Warning: This post contains spoilers fro The Legend Of Zelda: Breath Of The Wild. No real details as to what this is, but many have speculated the man in the picture is Ganondorf. I just noticed right now he's holding the Fierce Deity sword, so what the hell does that mean?! Looks like we're in for a trip! 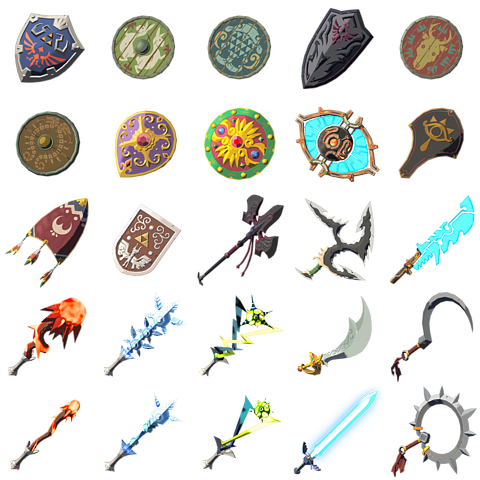 Those are the big leaks, but there are also a couple dumps for Zelda customization as well as in-game weapons and items that you can check out in the gallery below. Who's pumped to see Fierce Deity Link back?! It'll be awesome if you can use him outside of boss chambers as that wasn't an option in Majora's Mask. Leaked Impression For THE LEGEND OF ZELDA: BREATH OF THE WILD Says Game Is "Hardest Zelda Ever"